Using cognitive behavioural psychotherapy to cope with anxiety disorders. 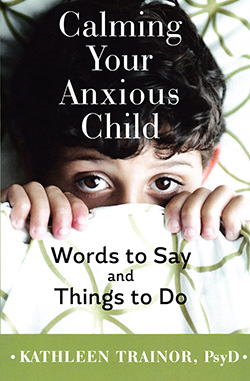 This is a cognitive behavioural psychotherapy-based text aimed at parents and practitioners who are responsible for the psychological well-being of children. It is a versatile and timely text and it will be useful for those working at all levels, from low to high intensity. Children are under increased pressure from peers and the media and we are being confronted with increased levels of low mood, low self-esteem, body image problems and a host of anxiety disorders. This text is not afraid to confront these issues head on and it offers practical approaches to help deal with these important issues. As with all books of this type, the reader should always be aware of their own competency level and seek support, advice and supervision when putting the ideas into practice. It is with this in mind that I do not hesitate to recommend this interesting and informative guide.